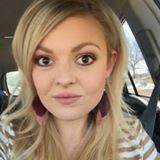 Ashleigh Franke, Jamberry Independant Consultant - Get Involved. Make Friends. Enjoy Motherhood. A MOD Moms business. Jamberry is a nail company that is dedicated to helping women discover and express their own personal style!